The timing was perfect, given Western New York’s short-term and long-term needs. 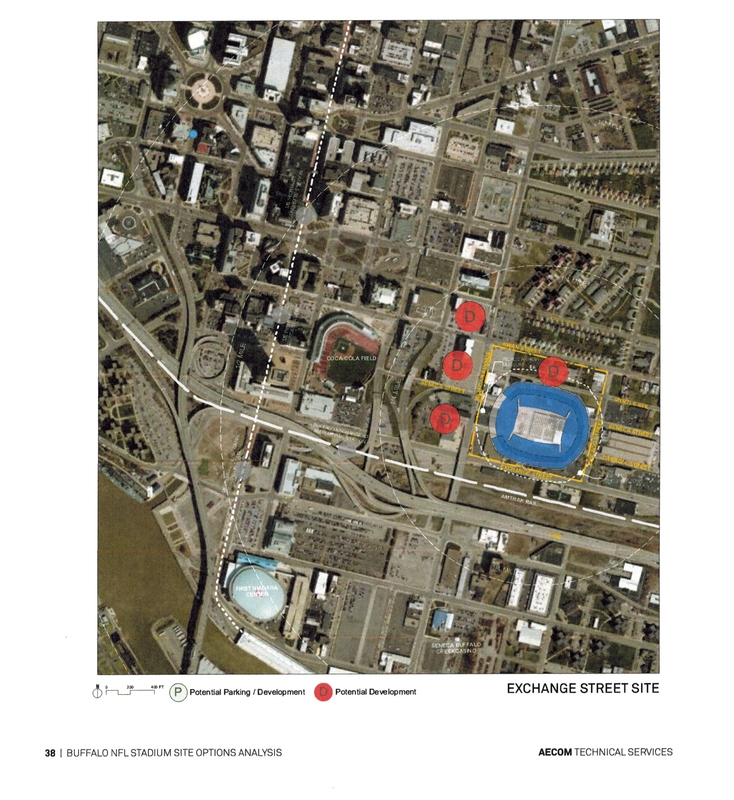 The report evaluating potential locations for a future stadium for the Buffalo Bills surfaced just when local sports fans desperately required a distraction from weeks of playoff games without our home team on the field, and from our hockey team’s unprecedented losing streak. 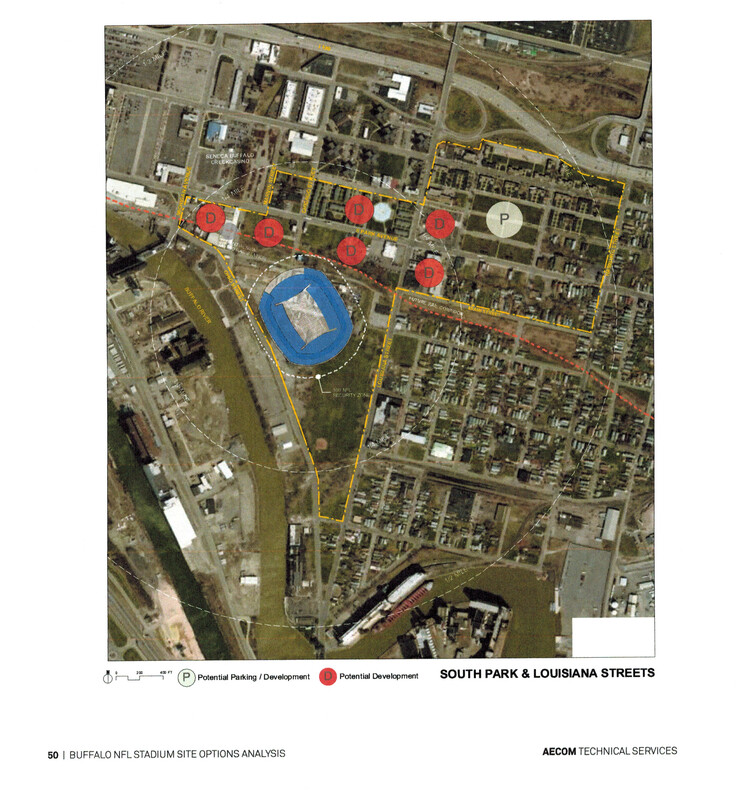 But the report also arrived at a time when no immediate decisions regarding a stadium need to be made. The initial motivation for the analysis, a desire to use the resulting economic impact report to encourage prospective purchasers to keep the Bills in Western New York, evaporated when Terry and Kim Pegula succeeded Ralph C. Wilson, Jr, as the team’s owners. The current stadium, beneficiary of recently $130 million renovation, is more than adequate. And, most of the 10-year stadium lease approved in 2013 by the state, County of Erie, the team and the NFL, lies ahead. We certainly are lucky that there is no rush. The options and issues to be considered by the stakeholders, including the public, are numerous and complex. Do we really need a new stadium now that the Pegulas have committed to keeping the Bills in Western New York? 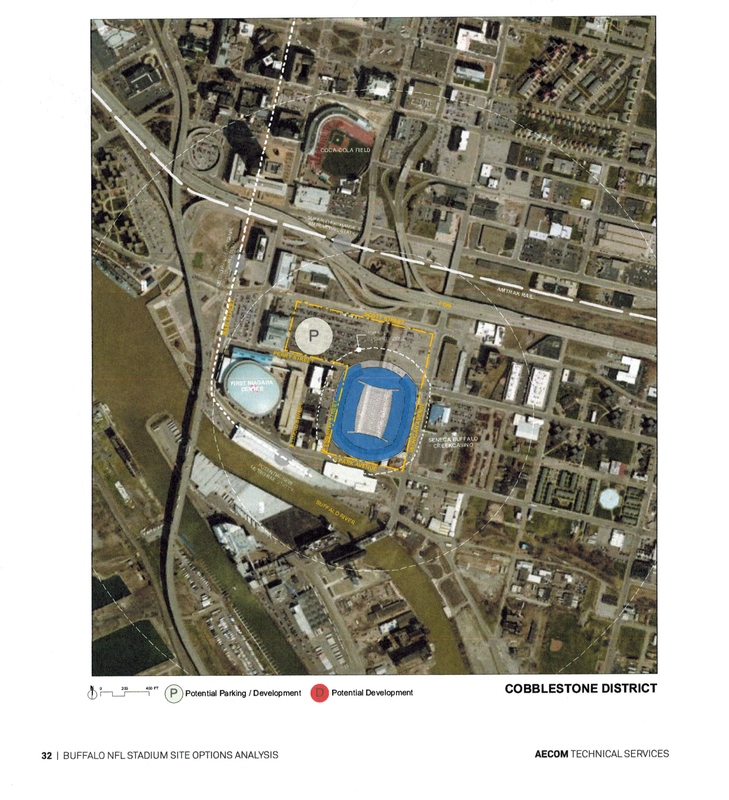 Who will ultimately decide whether a new stadium is built? Which of the four “shortlisted” locations identified in the report – the Cobblestone District, the Exchange Street site, Orchard Park, or the South Park site – would be best overall for our region? Are any of the non-shortlisted sites worthy of further consideration? Should a new stadium be an open-air, football-focused venue or a domed roof, multi-purpose facility? If the new venue includes a dome, should it be retractable or non-retractable? How much of the development costs, if any, should be shouldered by taxpayers when Buffalo’s residents have so many pressing needs? Etc. Etc. 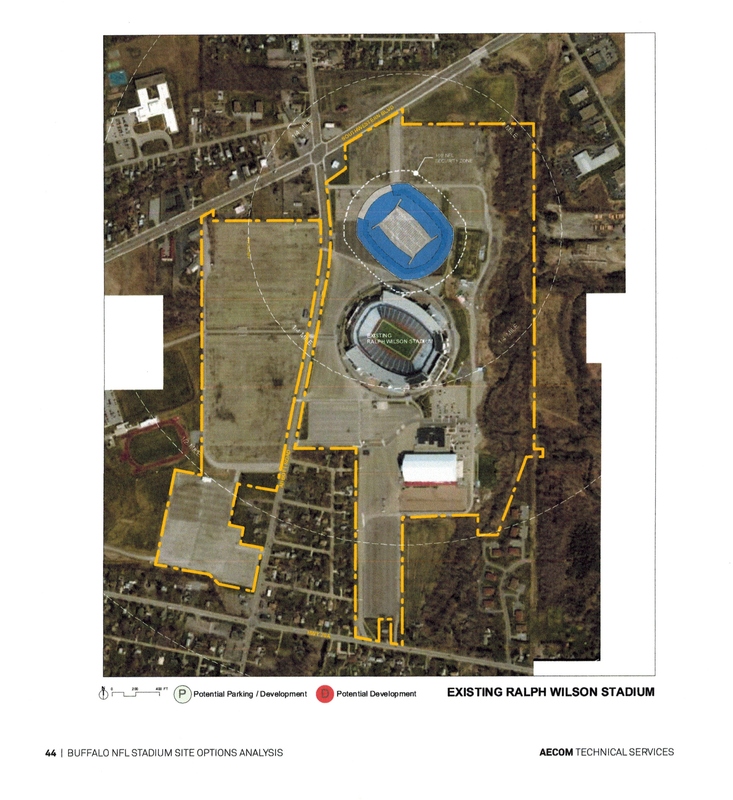 But public and private officials, as well as residents and taxpayers, will need an objective and comprehensive assessment that goes well beyond a proposed stadium’s economic implications if the goal is an ultimate decision that will represent what is best for the entire Western New York community. SEQRA broadly defines “environment.” For that reason, the environmental review that state and local governmental agencies are obliged to conduct, prior to deciding whether to approve or finance a new stadium for the Buffalo Bills, would not be limited to purely physical conditions. The analysis would closely look at elements of the environment such as the change in the use or intensity of use of land, adverse changes in air quality, noise and traffic levels, adverse impacts on open space or recreational resources, impacts on significant habitat areas, interference with the movement of resident or migratory fish or wildlife species, and increase in the potential for flooding, leaching or drainage problems. The latter topics are critical given the proximity of two of the shortlisted sites to the Buffalo River and nature preserves. But the SEQRA review would additionally “take a hard look” at the potential harm to the character of the existing community and neighborhoods, and historic, archeological and aesthetic resources. 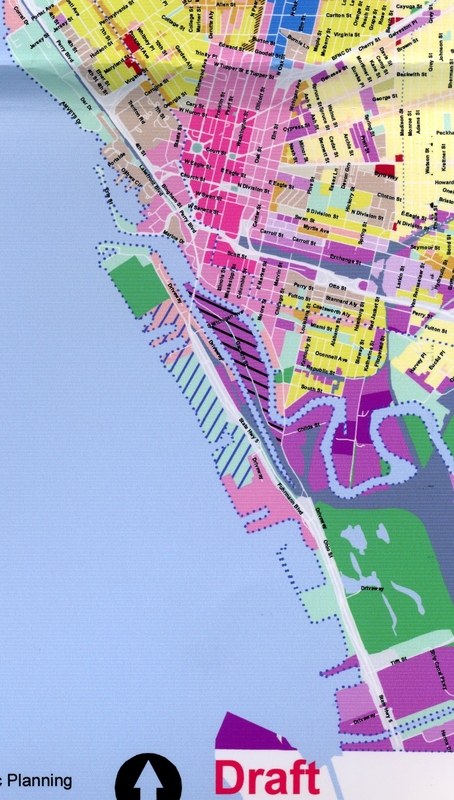 And the mandated environmental review would also assess impacts on existing patterns of population concentration, including potential displacement of residents from established neighborhoods, an issue of great significance to the Buffalonians who live near two of the shortlisted sites. Two aspects of SEQRA’s environmental review process would provide the public and officials with useful information when examining the pros and cons of the various options. Once a “preferred” site is identified, the environmental impact statement [EIS] must contain “a description and evaluation of the range of reasonable options” at a level of detail “sufficient to permit a comparative assessment of the alternatives discussed.” The range of alternatives must include the “no action” alternative, that is, an evaluation of the adverse or beneficial changes likely to occur at the proposed site if the decision is made not to construct a new stadium. The EIS must also describe mitigation measures, that is, conditions that would accompany approval of the project intended to avoid or minimize adverse environmental impacts to the maximum extent practicable. SEQRA will provide an effective framework to enhance the ability of key stakeholders to assess the myriad of stadium-related options, – from the Pegulas, county, state and city officials, and the NFL, to Western New York businesses and residents (whether or not fans of the Buffalo Bills). But the SEQRA process can easily be hijacked by government agencies and private sponsors with a predetermined agendas. For the good of the entire region, the public must demand that the letter and spirit of the environmental review process are complied with. Note: A version of this post was originally published in the January 22 – 28, 2015 edition of ARTVOICE at http://artvoice.com/issues/v14n3/stadium.